On August 12 2016, thousands of Kenyans, largely from the Kikuyu community, thronged the Kasarani Stadium to attend the commemoration of one John Njogu wa Njoroge, then a renowned host of a popular Kikuyu station Kameme Fm. Among those in attendance were Central Kenya Members of Parliament. Surrounded by fellow cheerful tribesmen, three of the politicians allegedly made utterances in their native Kikuyu tongue that were tantamount to despicable hate speech. The three were the often-reckless Moses Kuria, the combative Ferdinand Waititu and Bahati constituency legislator Kimani Ngunjiri. Moses Kuria allegedly called for the assassination of Raila Odinga under a delusional premise that such a move would allow peace to prevail. Waititu is alleged to have called for the circumcision of members of the Luo community, with Ngunjiri apparently calling for the eviction of particular tribe from Nakuru County. The foregoing utterances are a perfect cocktail of what amounts to hate speech, and are in outright breach of Article 33 of the Constitution. Unknown to the freely speaking politicians, their utterances were captured by one of those in attendance and promptly released to social media. The conclusion was foregone: the damning video would serve as conclusive proof of the legislators’ wrongdoing. This recording instigated a criminal case with the prosecution predicating their case on the video clip. 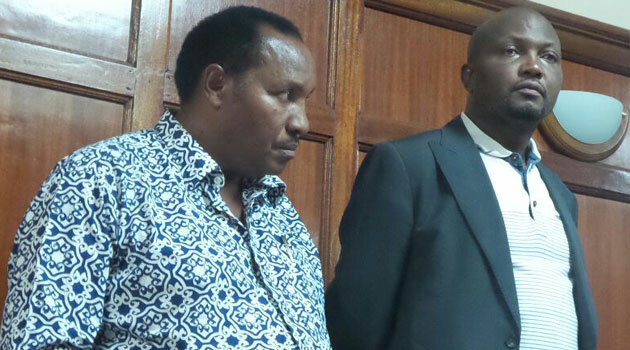 To the shock of many – and most evidently the Director of Public Prosecutions Keriako Tobiko – the court questioned the authenticity of the recording and subsequently acquitted Waititu and Kuria. The magistrate further cast doubt on the translation of what was said by the legislators in Kikuyu, asserting that the translator was not a linguistic expert. This decision massively dents the fight against hate speech, as the DPP would later note, and further brings into sharp focus the discourse of admissibility of electronic evidence in Courts with the latter being of primary concern to this piece. The issue of admissibility of electronic evidence is evidently a field undergoing legal growth. It is on this premise that an amendment to the Evidence Act CAP 80 was undertaken in order to grant electronic evidence the deserved legal recognition. By dint of Section 78A of the Act, electronic evidence ought to be admitted. However, this requirement is qualified under Sub-section 2, in that admissibility can only fail on the ground that it is not in its original form. Further the Act grants the Court discretion to consider (a) the reliability of the manner in which the electronic and digital evidence was generated, stored or communicated; (b) the reliability of the manner in which the integrity of the electronic and digital evidence was maintained; and the manner in which the originator of the electronic and digital evidence was identified, or any other factor. The Courts, in their execution of their interpretation of law role, have been invited severally to deal with the admissibility of electronic evidence. The outcome, just like in the Waititu and Kuria case, has more often than not left those relying on such evidence in utter bewilderment, as the Courts appear inclined to discard the same. Despite the precise and lucid provisions of Section 78A that demand admissibility of electronic evidence while placing only a few prerequisites that ought to be met, Courts have been persuaded to rule against their admission by dint of that stringent conditions set in the Act. This was also evident in Criminal Case No. 6 of 2008, Republic vs. Barisa Wayu Mataguda. State counsel in this case produced a CD made from a CCTV footage, which was meant to demonstrate the crime committed by the accused. Judge Odero relied on Section 106B (1) of the Evidence Act in appreciating that any information stored in a computer such a CCTV camera, which is then printed or copied to optical media such a CD, ought to be treated as documentary evidence and shall be admissible even without production of the original. However, the learned judge further went to state that the aforementioned section of the Act could not be read in isolation of Section 106B (4). This particular section provides that where one desires to give statements evidenced by electronic records, a certificate identifying the electronic record containing the statement and how it was produced and one signed by a person occupying a responsible position in relation to the operation of the relevant device, shall accompany the electronic evidence for it to be deemed admissible. It was on this basis that the Court ruled that the CD was not admissible. The matter was dealt with extensively in Criminal Revision No. 1 of 2016, Republic vs. Mark Lloyd Steveson. Judge Joel Ngugi propounded the application of an “authentication test” when determining admissibility. The case arose after e-mail printouts presented as evidence at the trial court were dismissed, with the prosecution desperately seeking a revision. The High Court, while revising the trial court’s ruling, took suo motu notice of Section 106B (1), (2), and (3) of the Evidence Act. 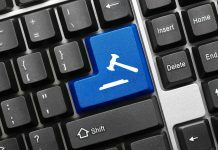 The Court averred that these provisions reinforce Section 78A and explicitly provide for the authenticating of printouts retrieved from electronic sources. Section 106B (2) was of paramount importance since it set the metric to be relied upon when determining admissibility of computer output such as the printouts. The section prescribes that the output ought to be produced during regular use of the computer and the computer generating the output must be operating properly. A certificate that is meant to serve authentication purposes must accompany all the above essential details. The curse of dismissal of electronic evidence on technical grounds would also befall Siaya gubernatorial candidate, William Oduol. In Election Petition 2 of 2013, William Odhiambo Oduol vs. The IEBC and 2 Others, learned judge Muchelule expounded further on the required prerequisites before the admissibility test is satisfied. Justice Muchelule reiterated, firstly, the need to avail a certificate made by the person in “direct control” of any device used to generate evidence; secondly, that the condition of any device used in the process ought to be stated and; thirdly, that the original electronic evidence should have been processed using a known procedure. It is undeniable that most litigants, be it legal teams appearing in civil cases or the state in criminal cases, would be tempted to conclude that they have robust and watertight case if there are in possession of electronic material to buttress their case. However, their cases pegged on such evidence usually crumble from tower of assured success to the base of outright discarding by the courts, courtesy to the numerous and strict requirements that need to be met. Justice Muchelule, in the Oduol case, justifies why such safeguards are absolutely necessary. He asserted that the ease with each electronic evidence could be manipulated without leaving any trace lends credence to the strict requirements. Though a rare occurrence, there have been instances where Courts have exercised discretion and adopted a different approach. Justice J. Chitembwe, in Election Petition 5 of 2013, Mable Muruli vs. Hon. Wycliffe Oparanya and 3 Others, embraced a more relaxed approach. The judge paid due regard to Article 159(2)(d) that implores courts to administer justice without undue regard to procedural technicalities. The judge allowed the presentation of CDs despite not satisfying the existing threshold, holding that it was pleasant for justice for each party “to go back home satisfied that they have presented their case to the court and the court was able to take their evidence.” Further in making this obviously distinguishing precedent from that made by Justice Muchelule, Justice Chitembwe categorically stated that each case had to be determined on its own circumstances. It is clear that capturing intended evidence by electronic means is just like a skeleton that needs to be filled with flesh, which comes in the form of technicalities. There is a dearth of judges and magistrates that subscribe to the school of thought advanced by Justice Chitembwe in admitting electronic evidence without meeting all the requirements. This therefore, calls upon litigants to adhere strictly to what would appear to some as cumbersome technicalities. However, the monumental significance that such evidence holds renders such prerequisites necessary by all means. In relation to hate speech, the decision by the National Cohesion and Integration Commission to deploy cameras, camcorders and voice recorders to capture evidence of hate speech is commendable. The Commission has repeatedly, and wrongly so, relied the media to obtain recording or excerpts of statements by politicians tantamount to hate speech for presentation as evidence in courts. 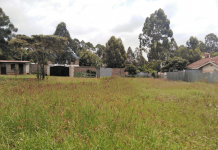 The net effect of this has been the continuous acquittal of politicians, just as happened in the Waitiuti and Kuria case recently – with this replicating the acquittals in 2011 of Hon Wilfred Machage and then Mt Elgon legislator Fred Kapondi. Both cases led to acquittals mainly due to the failure of authenticity test of the electronic evidence presented. The move by the NCIC, if expertly implemented, shall rectify such unnecessary technical blunders. Previous articleDid judge err in allowing IEBC to conduct party primaries?